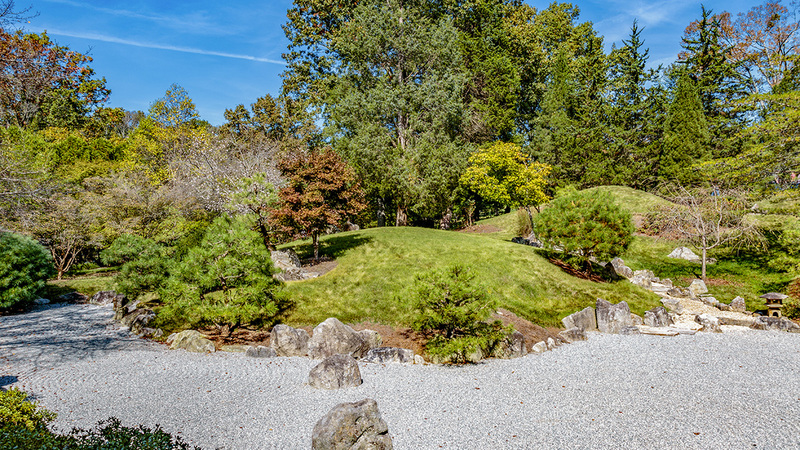 This 55-acre art museum and botanical garden was once part of the 100-acre estate of coffee investors Leslie and Mabel Cheek, who purchased the undeveloped property in the late 1920s. 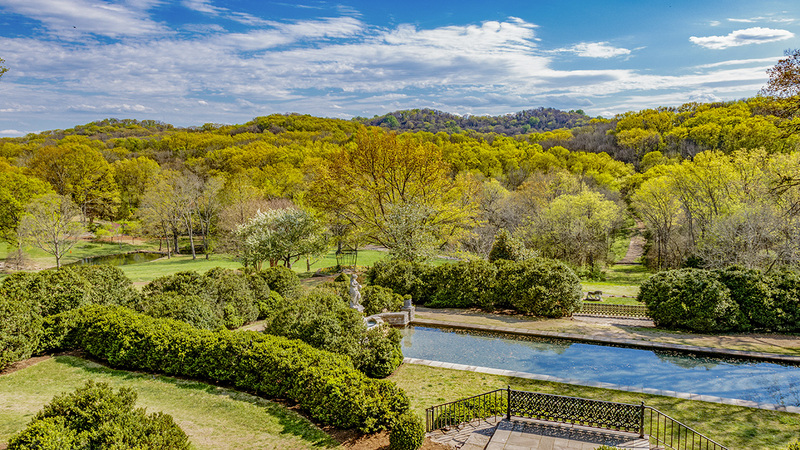 They hired architect/landscape architect Bryant Fleming to design the property, completed in 1932. Fleming designed a Georgian-style mansion and series of terraced formal gardens inspired by eighteenth-century English estates. 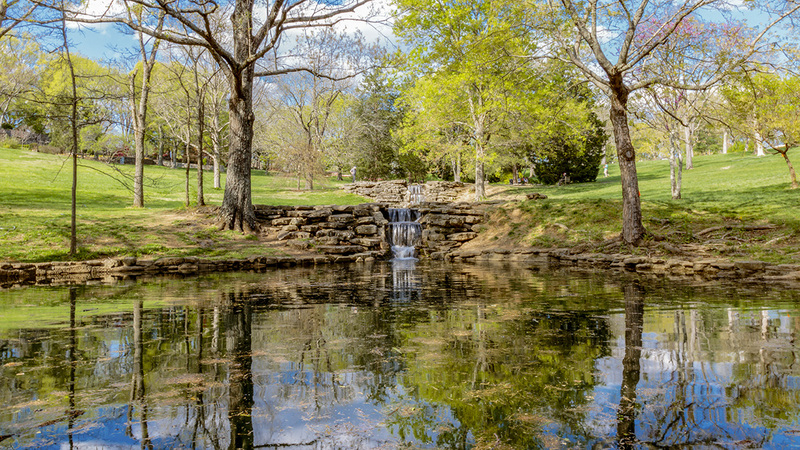 Situated on a hilltop with extensive views of Percy Warner Park, Fleming’s design pulls the surrounding pastoral landscape into Cheekwood’s garden experience. 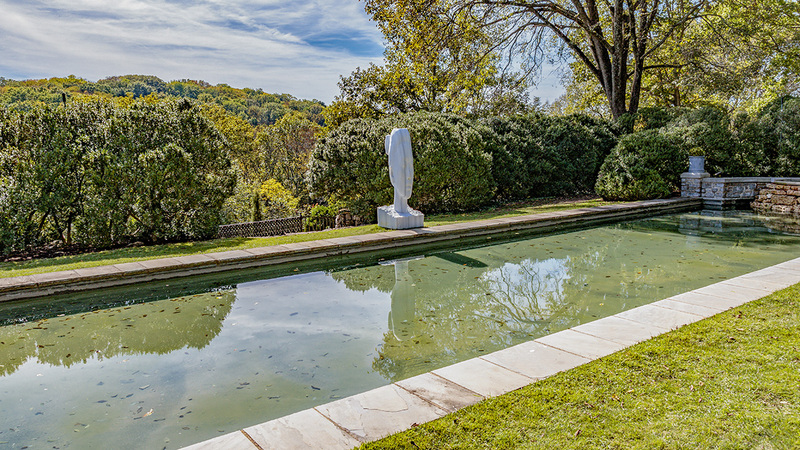 The designed grounds include, on the rear terrace, an open lawn with a large circular pool and lead swan fountain surrounded by boxwood gardens. An iron wisteria arbor was designed by metalworker Philip Kerrigan, and a broad stone staircase leads from the mansion to the Grand Basin. 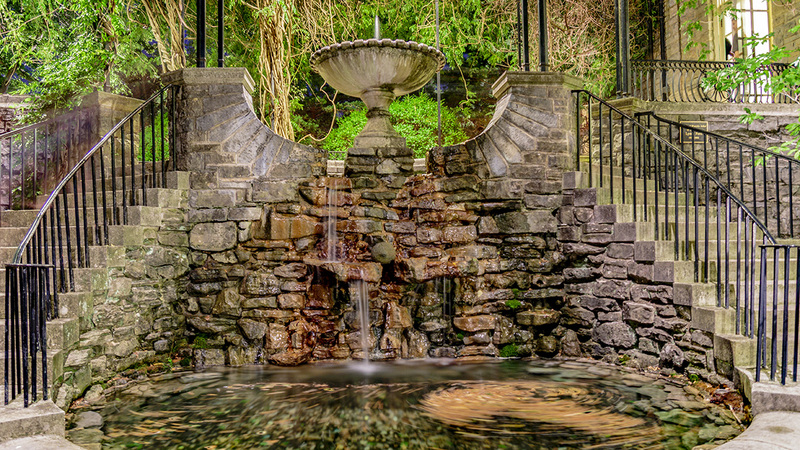 Stepping downhill, the less formal ravine garden culminates in three cascading ponds made with rustic limestone. 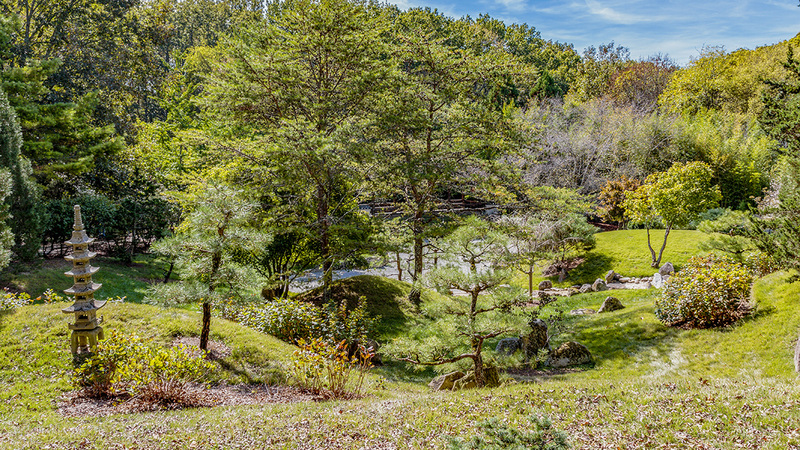 The same local limestone is used in various ways as walls, steps, and balustrades, and classical statues and urns are sited along pathways and used as focal points throughout the landscape. 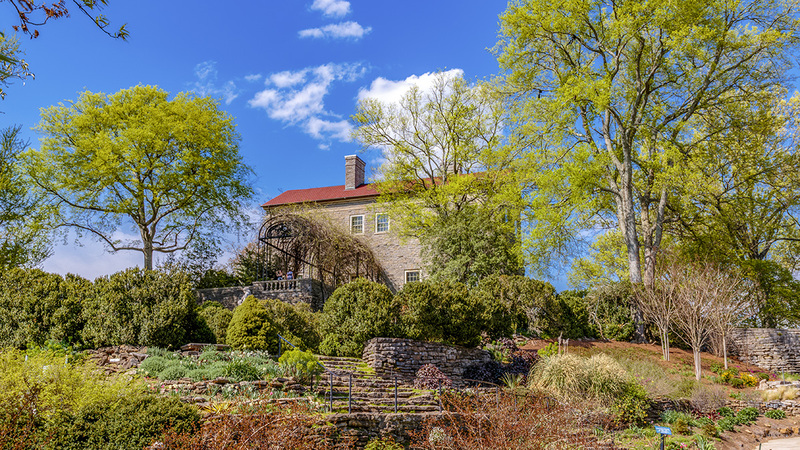 In the 1950s Huldah Cheek and Walter Sharp gifted the estate to a group of local civic organizations for use as an art museum and botanical garden. It opened to the public in 1960. Today, Fleming’s original gardens remain, alongside more recent garden additions and a sculpture trail that winds its way through woodlands. 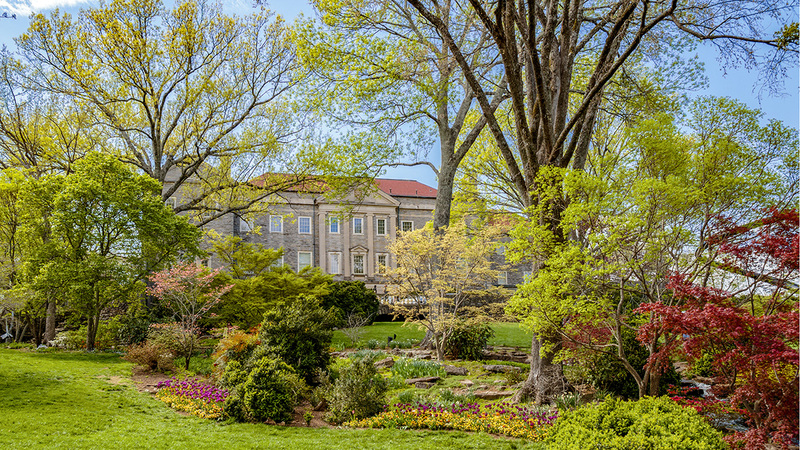 Cheekwood was listed in the National Register of Historic Places in 2000.